"Summertime as it should be!" 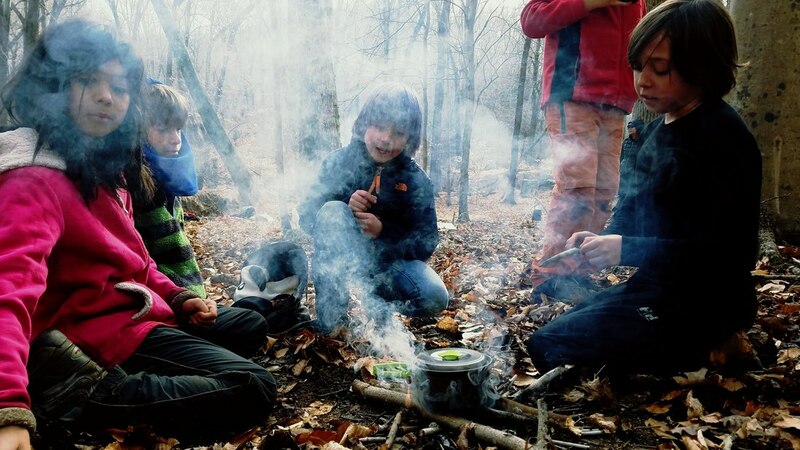 ​Nature discovery, survival skills, games, stories, water play and more! Register for 2 weeks at any locations. Before knowledge, the world is a scary and dangerous place. As knowledge and ability increase, the world transforms into a realm of opportunity and wonder. Before knowledge and skill, one feels small and restricted. With ability, one finds courage and daring. 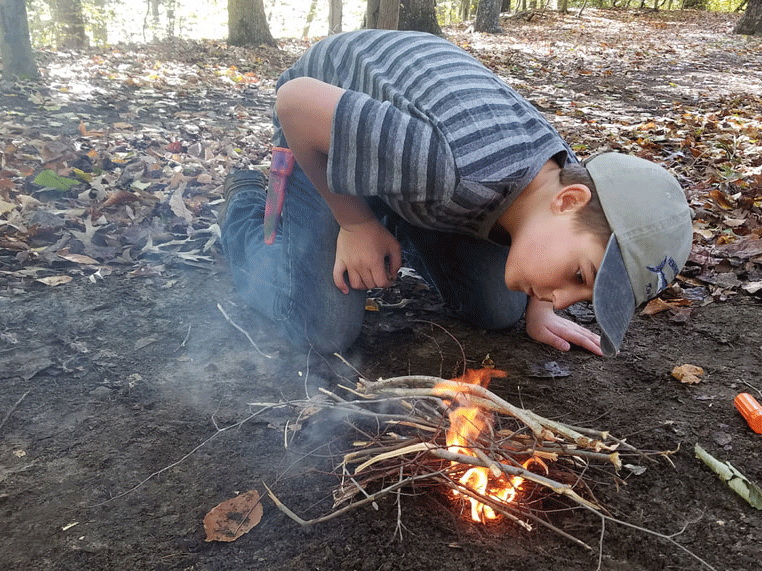 Shelter-building teaches more than just wilderness survival. In the camp setting it demands team-work and persistence. 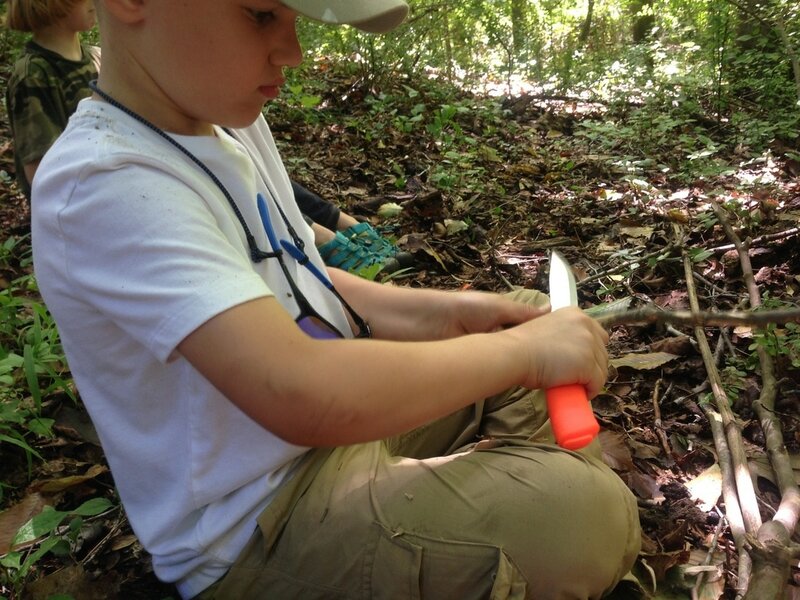 ​Students learn that survival is no joke, it takes work ethic. Not enough, and the roof leaks! 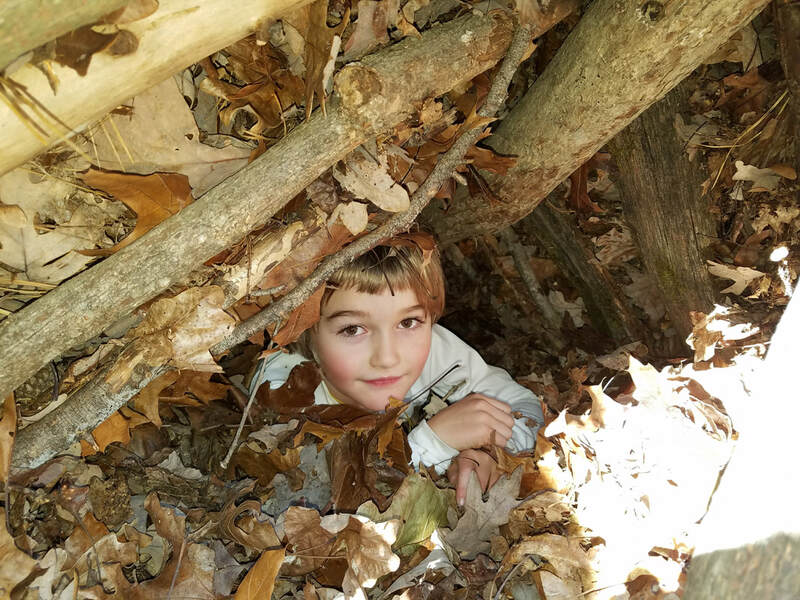 Imagine how a child's world changes when he or she discovers the ability to create a warm shelter with just sticks and leaves. ​It's the ability to literally make oneself at home in the wilderness. A good shelter creates a dry, cozy cocoon of warmth; it's a leaf bivy sack - tent, sleeping pad and sleeping bag, assembled from the forest floor. 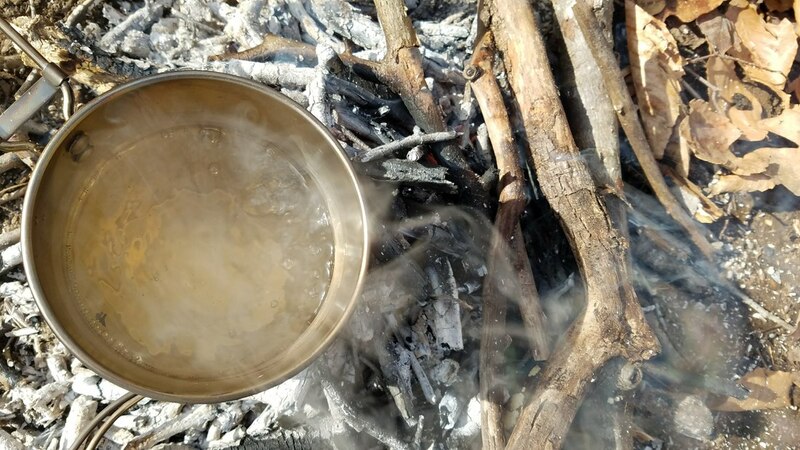 ​It's arguably the crux of wilderness survival knowledge -- the one skill all should know. For these young ladies, shelter-making is serious business! 10 minutes and 1 match. Can you get a fire going? In my experience, very few can, regardless of age. Proficiency with flame tending is a rare skill that only emerges through regular and consistent practice. But once developed, releasing sunlight from wood is a real magic rivaling anything Harry Potter can do with his wand and spells. To summon forth the mighty Smore! At a time when knives are increasingly banned, we ... require them! We ask that our students buy, bring and bear the sharpest affordable knife we could find. Wielding the blade brings the child closer to the ranks of exceptional hobbits, of Arthurian knights, and of young visitors to Narnia -- it's a vital skill for every would-be hero to hone. Not that we contend with orcs (none have dared approach us to-date) -- still, sliding that steel through sticks of maple changes more than the wood. With each stroke of the knife our young carver slides farther from the helpless end of the spectrum, farther and farther into the realm of responsibility. ​The young human enters the arena of those who bravely manage the self and surroundings to make life better for all. It's life on the edge - between the known and the unknown. The place of growth, of pushing past fears into new knowledge and skill. According to some tales I've read, drinking wild water can transform a child into a kid. Unfortunately, raw water frequently can have nasty consequences, sometimes even more dire and irreversible than shape-shifting. Luckily for your child, here at Natural Leaders we teach stratagems proven to relieve raw water of both bowel-distressing and goat-inducing properties. At the Ultimate Explorer camps, instructors have been known to transform into leopards. Sometimes for a full hour or longer. The leopard likes to hide his prey in a tree - safe from lions and hyenas - but not from some of our feisty students, who have been known to take on the challenge of sneaking into the heart of this powerful cat's territory. ​Once there they may manage to steal some of it's meat, much as young Akamba men would sometimes do to show their courage and skill in their native Kenya. As you might imagine, raiding a leopard requires extraordinary courage, stealth and alertness. 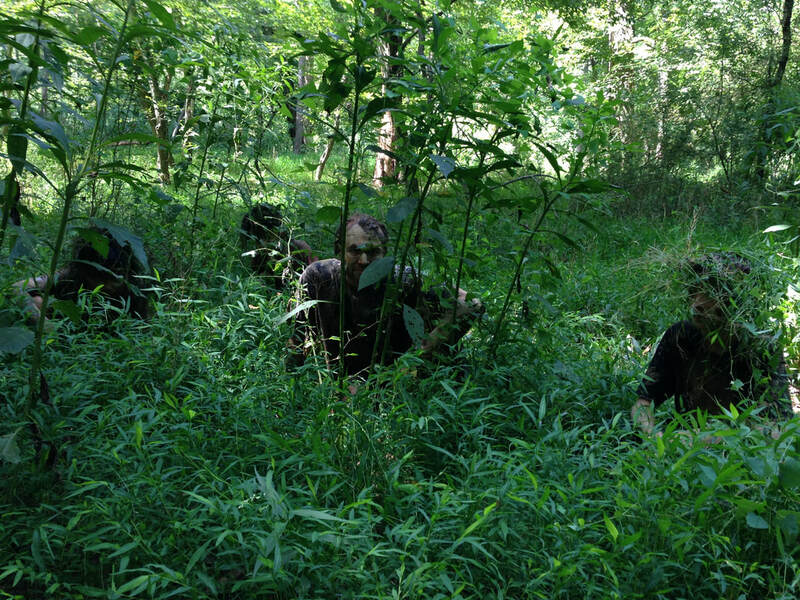 Regular training in the form of games helps prepare students for this dangerous undertaking. Our most commonly asked questions are addressed below, but if you find yours unaddressed, please don't hesitate to contact Nick. What knife should I get my child? We recommend and sell the Bahco 2444 Carpenter Mora Multi Purpose Knife. See explanation here. What gear will my child need? See and/or download our gear list here. Is this camp jedi friendly? Eels and other fish of suitable size, if captured, are released or dispatched in the fastest, most humane way possible. We consume whatever is edible. The eyes and brains go fast! Does this program include controlled burns? Unfortunately, our permits do not allow for this. If interested, see Nature Conservancy for options. Or, if you have private land and would like to host us, we can explore options for the future. Will attending this program help my child get into Hogwarts? 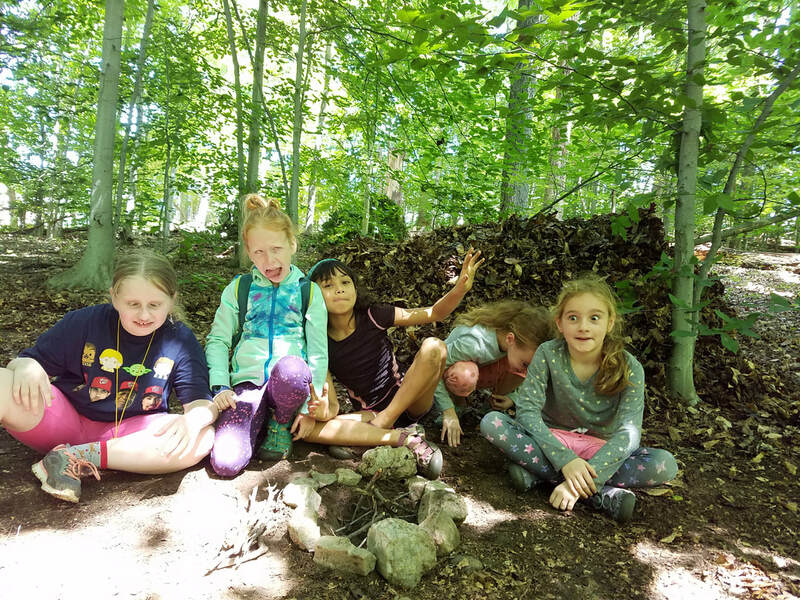 Natural Leaders programs have been consistently rated among the top 10 Muggle enrichment programs by the Hogwarts Alumni Association. ​"Thank you very much for the great photos and the recap of the week. K had absolutely wonderful time with your family and fellow campers. He enjoyed everything, but especially, fire-making, shelters, fishing, and the games. I really appreciated your summary of the week and the photos. They helped me to put the pieces of information from K together. We feel so fortunate to have been able to participate in your camp. K would love to go back, and I already have a few friends who would love their children to participate if you plan more camps in future in this area. We wish you all the best for the coming school year and hope to see you again"
"Thanks again for the awesome experience this summer. Not a day goes by that N doesn't mention it. She's already looking forward to next year. She has taught her little brother to identify wood sorrel, which he now happily forages on the soccer sidelines- much to the horror of NOVA parents! ​A few weeks ago, we went with a group of friends to [another camper]' s family's cottage on the northern neck. ​She and S taught the other kids shelter-building, which all 12 kids ages 3+ happily spent the entire weekend working on together. 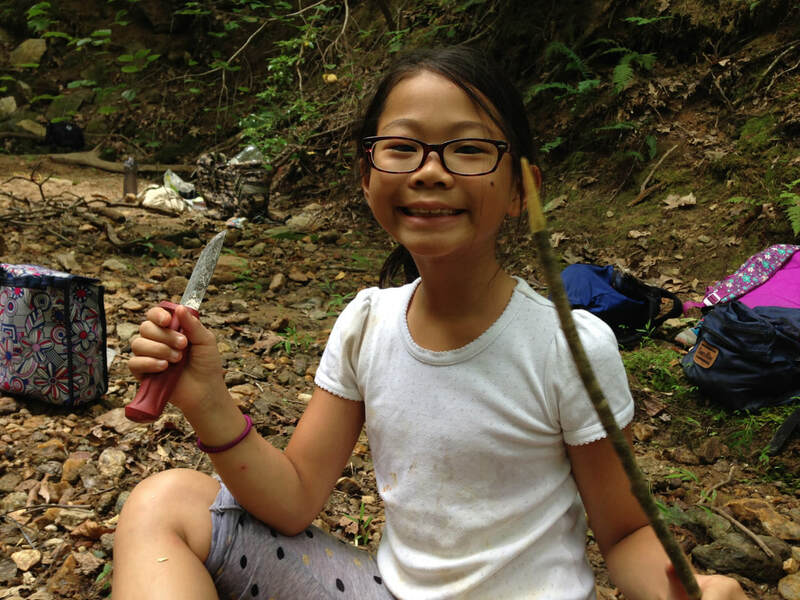 ​All that to say, the summer camp was an awesome experience for her." "Thank you so much for making the last week very memorable for A. He loved all the experiences in the woods, going to the creek, fishing, building the shelters, and, above all, finding creatures. He says his favorite day was the day you guys went fishing."